The SilverSneakers® fitness program is a health plan benefit for Medicare beneficiaries that provides older adults with fitness center membership, customized group exercise classes, and a supportive social environment that promotes socialization among participants. 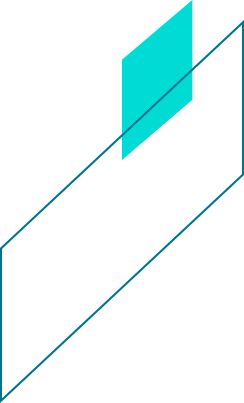 This study evaluated the impact of the SilverSneakers program on the physical and emotional health and activities of daily living (ADL). A quasi-experimental retrospective analysis compared annual survey responses from SilverSneakers members (Treatment N=5,586) to a matched national random sample of Medicare Advantage Organization beneficiaries (Comparison N=22,344) in the Cohort 10 Medicare Health Outcomes Survey. Matching was performed based on 6 demographic and 6 disease status variables. 2007 and 2009 survey responses were evaluated using categorical and logistic regression analysis. The Treatment group presented significantly better physical and emotional health and lower impairment in both 2007 and 2009, less impairment for four of six ADLs in 2007 and all six in 2009, and a higher average number of days of good health within the prior month for both years. Three-year longitudinal analyses indicated a significantly more favorable Treatment group trend for nearly all measures of health and ADLs. Members exercising less frequently had poorer health and functioning. 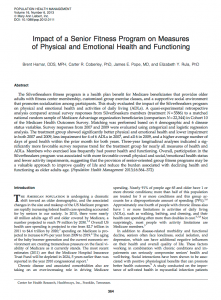 Overall, participation in the SilverSneakers program was associated with more favorable overall physical and social/emotional health status and fewer activity impairments, suggesting that the provision of senior-oriented group fitness programs may be a valuable approach to improve quality of life and reduce the burden associated with declining health and functioning as older adults age.